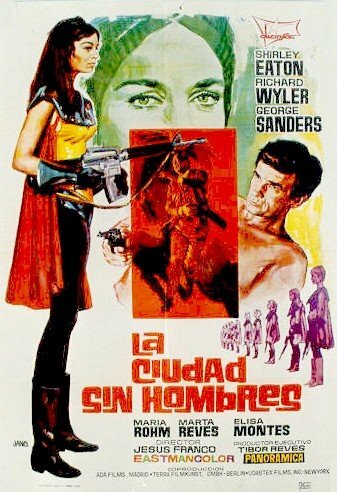 COMING ON DVD IN JUNE 2012 FROM MONDO MACABRO! EL COLECCIONISTA DE CADAVERES, a Spanish-US coproduction was shot in 1967 by Santos Alcocer (ORGIES OF DR. ORLOFF aka Solo un Ataud) in Southern Spain. 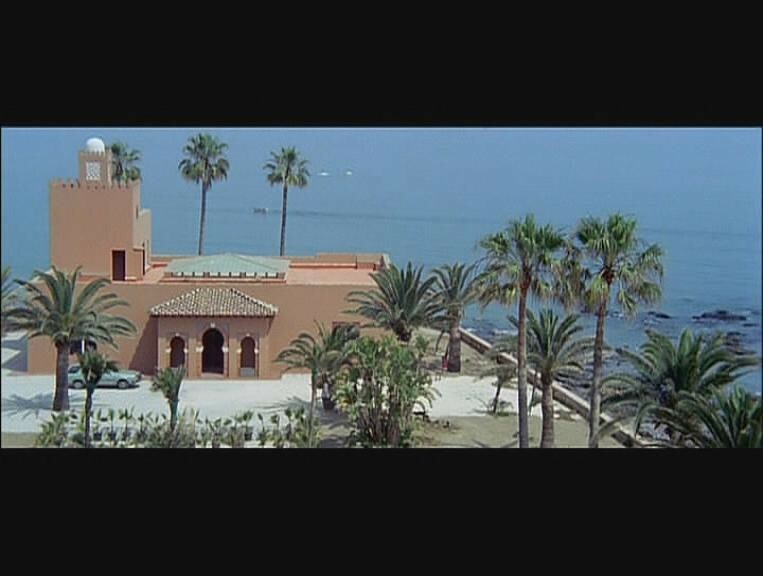 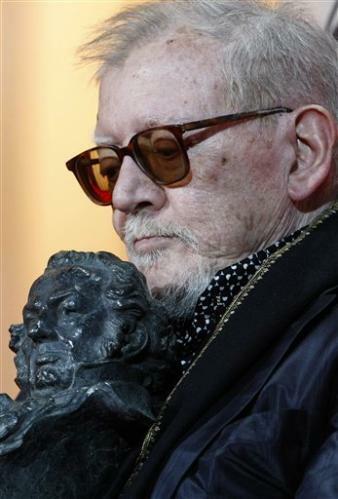 Note that the plot point of a sculptor who uses the skeletons of murdered women as armatures (cf MYSTERY OF THE WAS MUSEUM, HOUSE OF WAX, BUCKET OF BLOOD, CRUCIBLE OF TERROR) is the same as Jess Franco's ROTE LIPPEN/TWO UNDERCOVER ANGELS filmed the same year and that it was shot using what appears to be the same villa near Malaga which was the setting of Franco's 1982 thriller MIL SEXOS TIENE LA NOCHE, sometimes utilizing the same camera set ups. 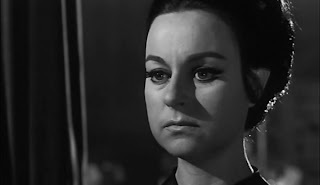 An interesting double bill, ultimately in Jess Franco's favor. Thanks to Francesco Cesare for sending an excellent quality DVD-R of EL CASO DE LAS DOS BELLEZAS which is about 10 m longer than the English language version, TWO UNDERCOVER ANGELS and has a different musical score. 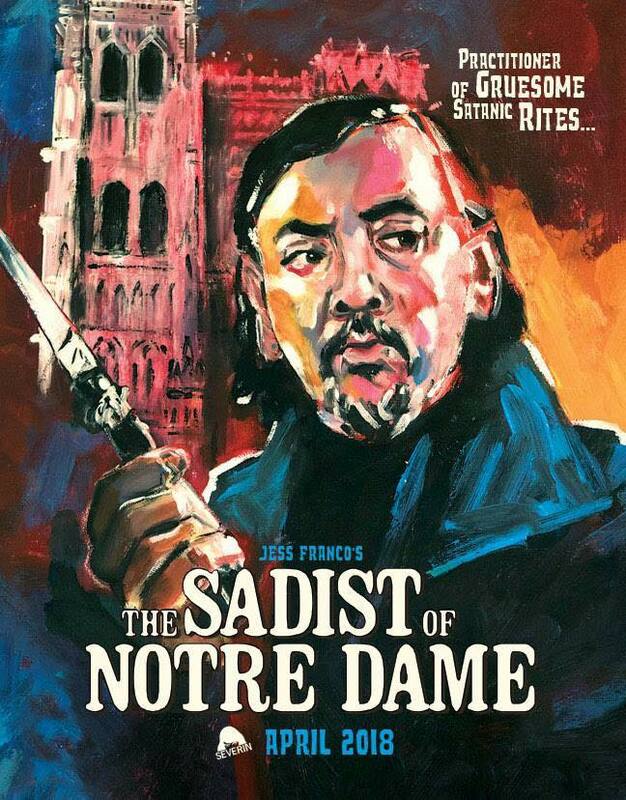 I never thought it would happen but MONDO MACABRO has finally put together the Director's Cut of this essential Jess Franco cannibal adventure! 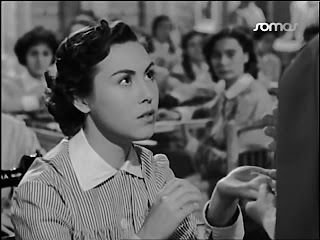 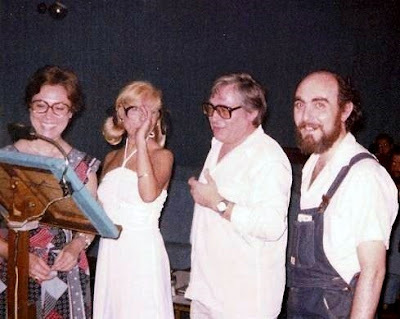 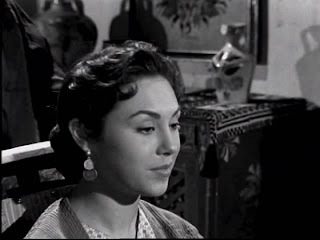 The slightly abrasive soprano voice of Adelina Luna Gómez, better known as Delia Luna, was heard in numerous Spanish-dubbed soundtracks produced by Arcofón, Cinearte and Magna, the most frequented sound studios in the career of Jess Franco, in whose long filmography Luna, who passed away in the late nineties, made numerous incursions over the course of about two decades. 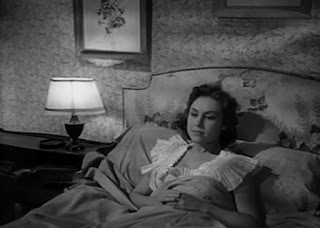 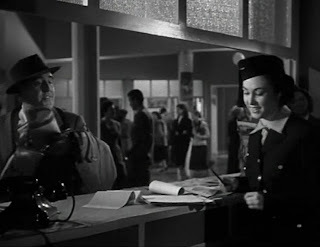 The niece of the noted character actor Manuel Luna, she made her onscreen debut in 1952 and went on to appear in some 18 films over the following decade, almost invariably dubbing herself except for some occasional films whose soundtracks were created in Barcelona. 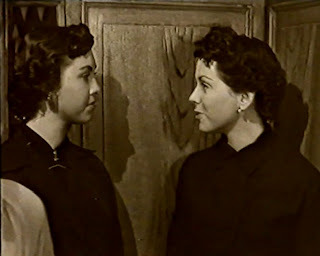 Dark-haired, with a roundish face and a slightly upturned nose, she landed female lead parts in two Antonio Molina vehicles, but was otherwise usually seen in supporting roles, sometimes as nuns. 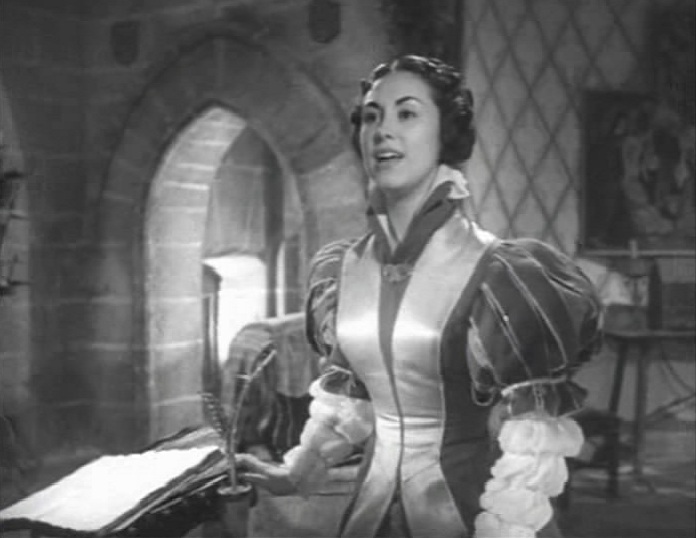 Her career dubbing others started shortly after her screen debut and from 1963 onwards she concentrated almost exclusively on her voice acting, remaining active in the profession until her death c. 1997. In the seventies and eighties, she worked extensively on many TV redubs of classic films whose original Spanish-language soundtracks were unavailable or in poor condition; in this capacity, she was frequently assigned to supply to dub Maureen O’ Hara. Other assignments of hers include several secondary Bond girls (Shirley Eaton, Martine Beswick), some voices for Patty Shepard, the voice of Bárbara Rey whenever Rey herself was not available (including Amando de Ossorio’s El buque maldito), Linda Kelsey in the whole Lou Grant TV show and Linda Grey in the first seasons of Dallas (the role was later taken over by Pilar Gentil, who had dubbed Pilar Cristal in The Awful Dr. Orloff), not to mention what, to many Spaniards, may be her most familiar vocal role on TV, that of Rue McClanahan's character Blanche Devereaux in the sitcom The Golden Girls. To all this one should add occasional jobs involving Anne Bancroft, Claudia Cardinale and Mary Steenburgen, among many other works. 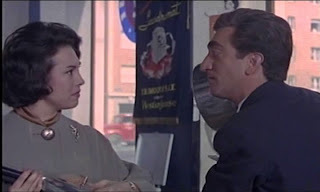 Alexandra Delli Colli in Dr. Butcher M.D. 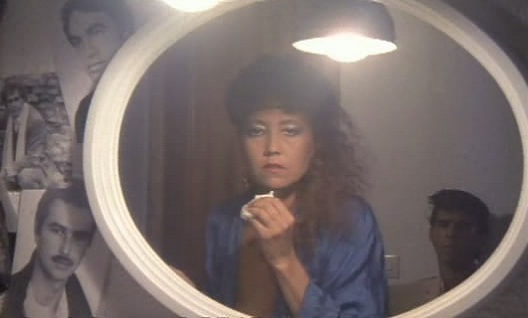 What follows is a list, possibly incomplete, of Delia Luna’s Jess Franco efforts. 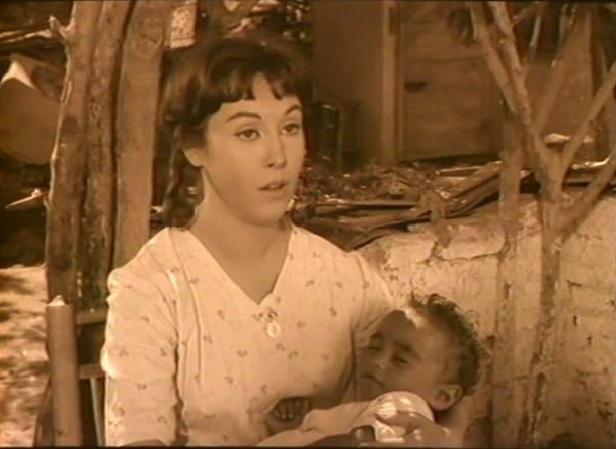 It must be said that most of her vocal roles for Franco are in stark contrast with the “wholesome” characters (nuns, nurses, housewives, “good” girls) she would usually play onscreen.